A recent article in the New York Times indicates an increase in preschoolers with tooth decay so severe that they have to undergo major dental surgery with general anesthesia. According to interviews with more than 20 dentists and dental professionals, the problem is wide spread. There are cases where dentist are finding an average of 6-8 cavities in preschoolers. Parents can imagine how difficult it would be for themselves to have to sit still in the dental chair long enough to have 6 – 8 fillings done. That is difficult for anyone. Imagine how hard that would be on a 4 year old. Even more challenging is what happens with a 1 year old or a 2 year old has cavities. Some children as young as 2 are now reporting to their first dental visit with multiple cavities. Prevention is the key and early visits to the dentist. 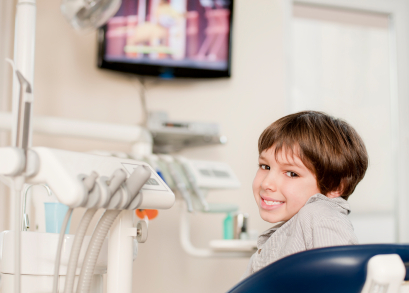 Treating children in the dental office can be a big challenge for the dentist, the patient and the parents. Some children are very cooperative and the treatment can be completed with local anesthesia and maybe nitrous oxide (laughing gas). However, in the rising number of cases of preschoolers with cavities so severe that up to 12 teeth have to be treated, local anesthesia will not keep children in their seats for the entire procedure. General anesthesia for kids under 6 is usually the option of choice for treatment. It allows the dentist to treat the entire mouth in one sitting and it is the best way to create an excellent experience for the child. So how can parents prevent such drastic measures for their children? Most snacks and juices for children are sugar bombs and are one of the major reasons for the increase in tooth decay in young kids. Parents get busy and do not always have the time to fix their children healthy snacks made from whole foods instead of processed foods. Trips to the grocery store are times to stock up on packaged fruit roll ups, fruit juices, chips and yogurt to go. These snacks sound like healthy options, but really they have tons of sugar, food coloring and other processed additives to make them look fun, enhance the taste and last longer. These snacks may be quick and cheap, but investing in whole foods such as whole fruits, nuts and vegetables is worth your money, rather than the $2,000-$5,000 bill from the surgery to treat several cavities. In addition, using tap water instead of bottled water is beneficial- tap water has added fluoride, helping your child’s teeth grow stronger. Teaching your child to brush their teeth regularly and doing it for them when they are still learning how to themselves, will help keep your child’s teeth clean while brushing off bacteria and acid causing cavities. Of course bringing your child to see your dentist regularly will ensure early detection and treatment for any oral health issues. Take time to be proactive instead of reactive! And of course, check with your dentist if you have any other questions.